Everyone loves a freebie. It doesn’t matter if you’re rolling in cash and can afford to splash out on luxuries, or if you’re at the opposite end of the scale and need to stringently monitor outgoings in order to get through the month. The idea of getting something for free is a song that we can all sing and dance along to. 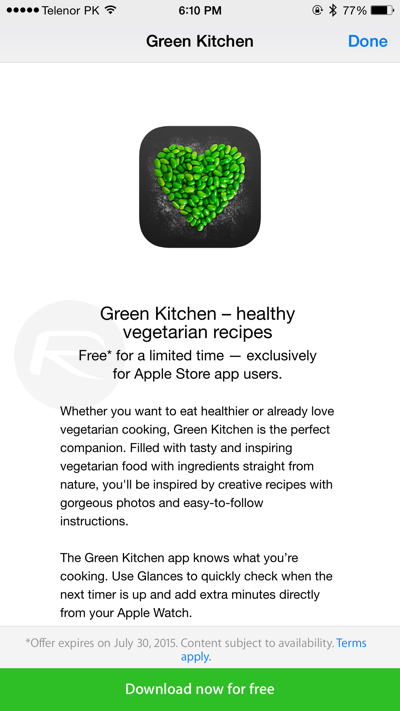 It’s an especially nice feeling when the app that’s being offered for free once had a $4.99 price tag attached to it, which is exactly the case right now as Apple is dishing up the Green Kitchen cooking app as a free download via its own Apple Store app. Recipe apps regularly find themselves featured on the App Store and manage to sit at the top of their respective categories. 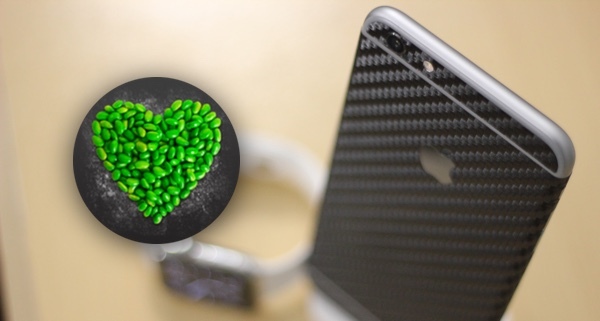 After all, one of the common denominators that connects us all is that we all need to eat, so we may as well utilize our iPhones and iPads to eat well, right? 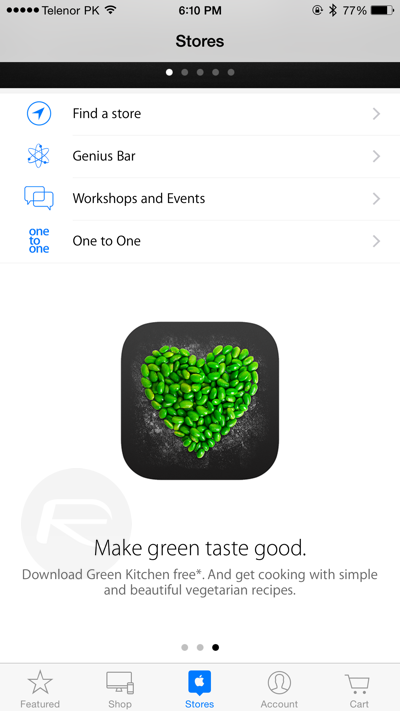 Green Kitchen is a gorgeous looking iPhone, iPad and Apple Watch compatible app that serves up healthy vegetarian recipes for those who prefer to live without meat in their diet. Of course, a nice healthy and delicious green dish also has mass appeal regardless of your meat eating status. Step 1: If you haven’t already, you’ll need to download and install the free Apple Store app from the App Store here. Step 2: Launch the app when downloaded and select the ‘Stores’ option in the bottom tab bar. 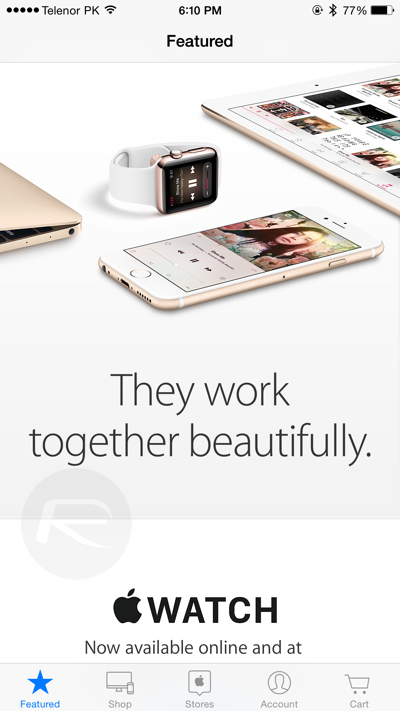 Step 3: Scroll down until the image of the Apple Watch appears with the ‘Apple Watch is here’ title. Step 5: Tap that icon and follow the on-screen instructions. Basically tap the ‘Download now for free’ button to start the download process. The offer expires on July 30, 2015, so act fast before the app is back to its regular price. For everybody having difficulty ՍΝᏞΟᏟΚing their AT&T phones, you can take a glance at just google atttiphoneuunloockiingfor great service, oahu is the most secure ՍΝᏞΟᏟΚing site I’ve ever use, never took us over 6 hours to սոⅼοсking some of my l0cked devices.